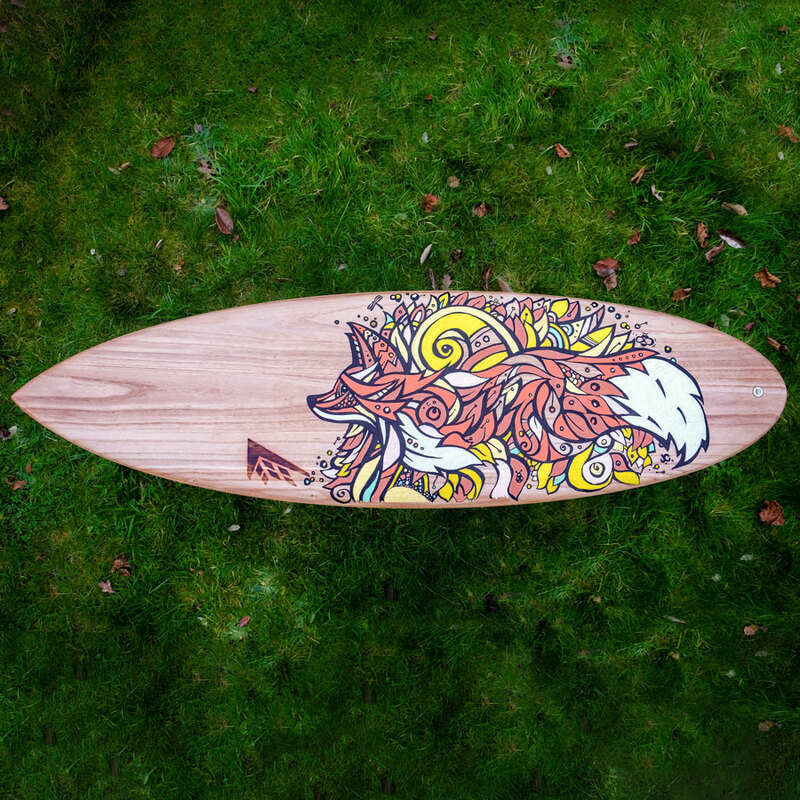 Fox illustration design, hand-drawn onto a Firewire Dominator surfboard. 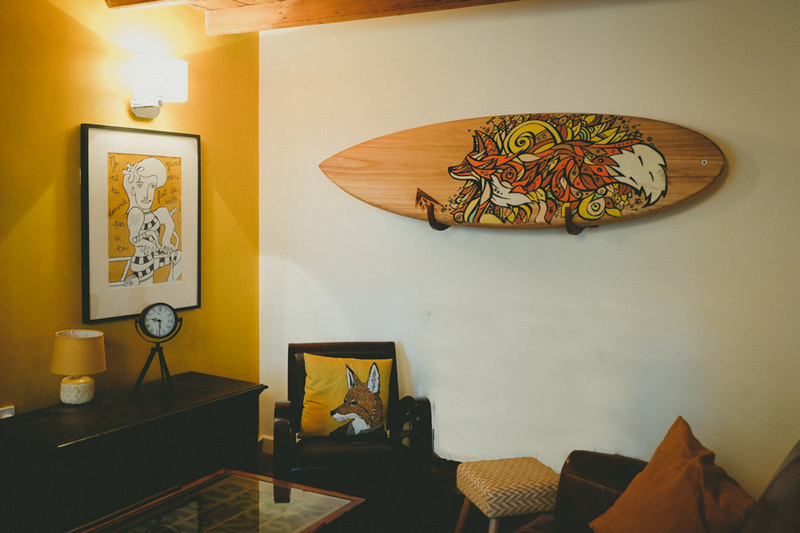 The wood laminate makes the perfect canvas for surfboard art. 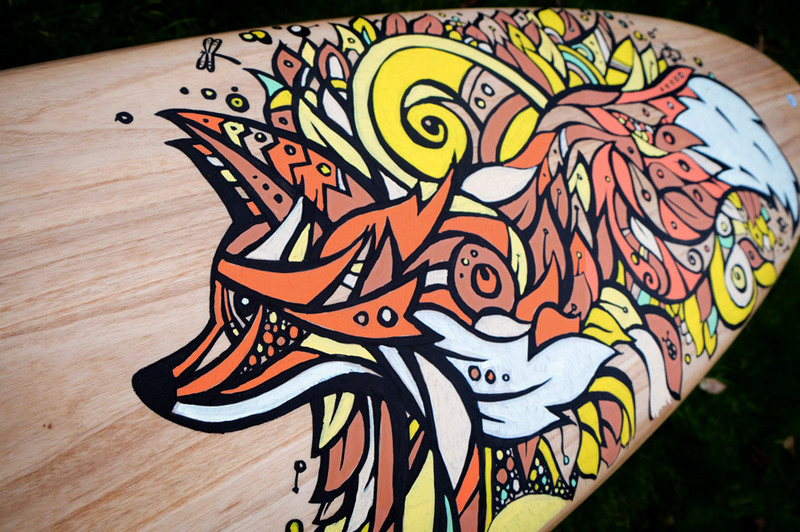 I used posca pens and then varnish to seal it in. Full video of the process to follow.